Israeli television rose to global prominence on the back of scripted series such as Hatufim (Prisoners of War) and Be Tipul (In Treatment). DQ explores what comes next from a country where big budgets are rare but no expense is spared on storytelling. Locally made Israeli drama might only date back a couple of decades, but the country is recognised as one of the most respected producers of high-end TV series in the world. 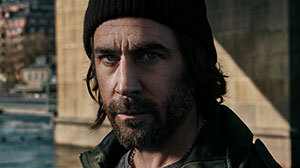 The industry came to the world’s attention in 2011 when Showtime struck an instant hit with Homeland, which was in fact a remake of Israeli series Hatufim (albeit a heavily reworked one). But even before Homeland, another Israeli series, Be Tipul (2008), had been turned into HBO’s glossy therapy drama In Treatment, starring Gabriel Byrne. As a testament to Be Tipul’s quality, it was eventually remade into more than a dozen other versions. Today, now that watching subtitled drama is as normal to many viewers as watching in their native tongue, Israeli productions are experiencing a second wave of interest – but this time in their original form. Hostages, False Flag (pictured above) and Fauda mean the ‘Israeli thriller’ is on par with Nordic noir. But despite the industry’s success, it is facing challenging market conditions. Like everywhere else in the world, series in Israel are made for one of two reasons: first, by commercial or advertising-led channels that create ‘event TV’ to bring viewers to their brand; or, second, by subscription channels that want to add depth to their schedule alongside their usual roster of programming, such as sports, reality, children’s, factual and movies. In a country with a population of only around nine million, there are limited subscribers to fight over and advertising on TV is being hit hard as content gravitates online. Meanwhile, one of Israel’s main networks, Channel 2 was recently split into two (Keshet 12 and Reshet 13), so now each channel has less money from advertisers to fund these so-called ‘high-end’ productions. Illegal downloads are also a particular problem in Israel, a result of loose intellectual property law and an entrenched cultural attitude that simply means the public do not take the matter too seriously. These challenges all manifest in the budgets allocated to Israeli series being startlingly low, particularly in contrast to their international peers; the pilot of Homeland cost the equivalent of two seasons of Hatufim. Similarly, the first episode of BBC1’s The A-word, a series about a young boy with autism (starring Christopher Eccleston), cost three-quarters of the price of the first season of the original Israeli series on which it was based, Yellow Peppers. Hatufim, Yellow Peppers and The A Word all come from Keshet International. So how does Israel manage to make TV drama that is so good in this environment? Producers have very little money so they force production values where they can – and the cheapest place to do this is in the writing. “With money you can make your show appear magical, you can hide your faults. But when you’re naked, you can’t. So it makes you work much harder, you can’t leave little holes,” says Keren Margalit, who created and directed Yellow Peppers (which has also been adapted for the Greek market, with talk of a German version too). Margalit also wrote season two of Be Tipul, a show that consists literally of two people talking in a room and embodies the Israeli spirit of good writing over lavish production values. The US remake was cancelled after one season, perhaps because in that version the characters leave the house early on in the series – doing away with an essential element of the original. Budgets aside, the other issue that cannot be ignored is that Israel is a country at war. Such a situation lends itself to highly compelling and globally significant stories – and it’s not just the conflict with Palestine that affects the country. There are also conflicts within Israel, between the Arabs and Jews who live there, between the religious and non-religious groups and so on. There is also a large immigrant community with stories to tell. The creative people living in Israel need to express themselves, and many do so by writing scripts. 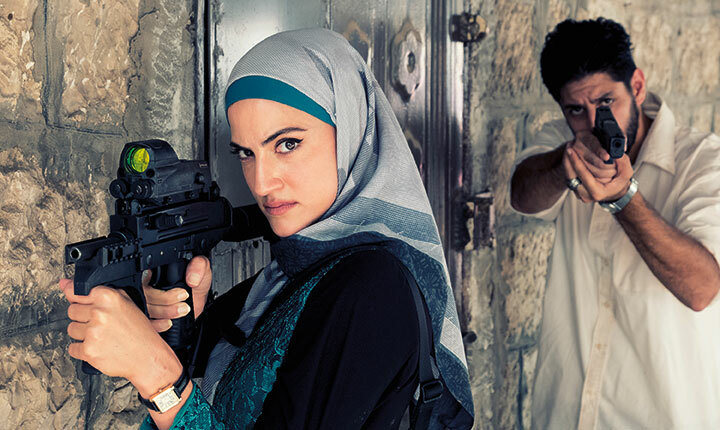 A series like Fauda – a political thriller that airs on Netflix around the world – gives viewers a fascinating glimpse into one of the defining conflicts of our times and one which may have ramifications where those viewers live. The show has made a particular impact as the creators went to great lengths to portray characters from both sides of the divide. One merely has to scratch the surface of Israeli drama to see the rich tapestry of themes, ideas and issues that are being explored beyond thrillers. Sleeping Bears, the new series from Margalit, launched on Keshet earlier this year and was also among the official screenings at Berlinale in February. The show follows the fallout when a teacher finds an anonymous letter that contains summaries of her therapy sessions. The show explores the theme of trust and the myths surrounding what we think privately and what society allows us to say publicly. Likewise, Endemol Shine comedy Nevsu, “the story of an Ethiopian and Israeli intermix family that deals with daily cultural clashes,” as described by Gal Zaid, head of scripted drama at Endemol Shine, “could be relevant anywhere.” It’s a point reinforced by the fact that a pilot for an adaptation was recently commissioned by Fox in the US. Mama’s Angel, produced by Black Sheep Film Productions for YES TV and distributed by Wild Bunch TV, will be added to the UK edition of foreign-language drama streamer Walter Presents this summer. 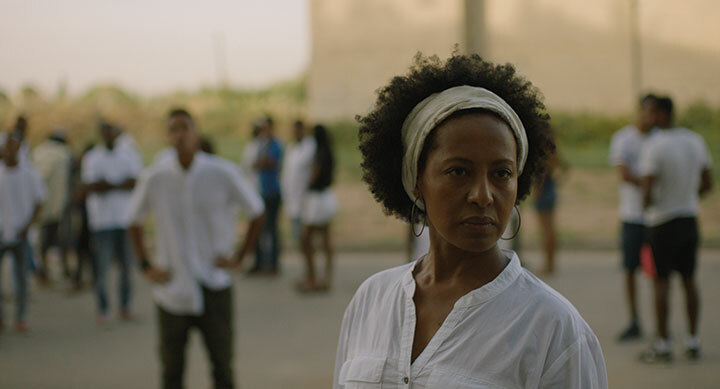 Set in a wealthy Tel Aviv neighbourhood, it explores the nature of prejudice when a community turns its anger towards a black graffiti artist who is the main suspect in a serious crime. The list of unconventional shows Israel is making at the moment is so long it’s easier to say which genres aren’t on it, which tend to be traditional formats such as medical, cop or lawyer series. “And God bless them for it,” says Iuzzolino. The fact that all the major international distribution companies such as FremantleMedia, Red Arrow and Endemol Shine have set up offices in Tel Aviv underlines the value they attach to Israeli content. Because of the average timescale of five years, it takes to get an Israeli series to screen and the relatively low pay local scriptwriters receive, they must have a strong sense of vocation. This desire to tell their story often manifests as a “burning look in their eyes,” says Stern, frequently coming from a real-life trauma or experience. Fauda creator Raz, for example, was part of the same special operations unit as the one the show depicts. Der Pass (Pagan Peak) is latest drama to take inspiration from Scandinavian hit The Bridge, putting a German/Austrian spin on the cross-border crime format. But, as the producers tell DQ on set at its mountainside filming location, this is a completely new story. 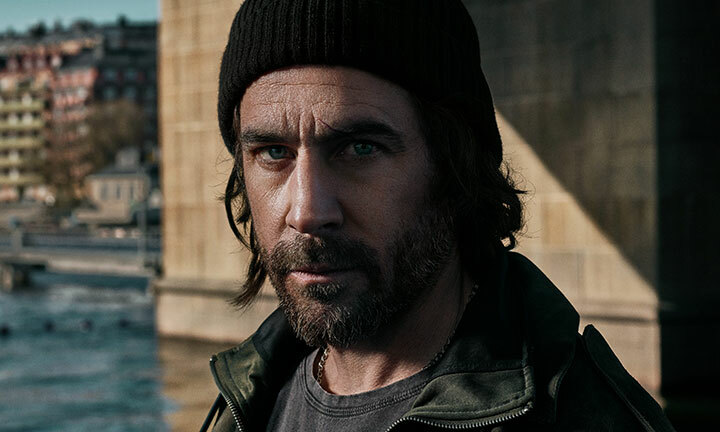 Despite becoming a global hit in its original form, Scandinavian crime drama Bron/Broen (The Bridge) has spawned several local adaptations. First there was The Bridge, set on the border between the US and Mexico; then The Tunnel, pairing the UK and France. There is also another version set between Russia and Estonia. So a new German/Austrian adaptation may not seem the most original contribution to the golden age of TV drama we are currently enjoying. But when you find out the producers of Der Pass (or Pagan Peak, as it will be known in English) are Max Wiedemann and Quirin Berg, responsible for Netflix’s cult genre-bending hit Dark, as well as the hugely respected Oscar-winning film The Lives of Others, it’s hard to be so flippant. “We didn’t want to just remake a series that’s already been remade twice,” says Philipp Stennert, one half of the directing/writing team, the other being his long-term collaborator Cyrill Boss. Together, they recently made Rivals Forever – The Sneaker Battle for ARD, a miniseries about the two brothers who separately created the Adidas and Puma brands during Nazi-era Germany. 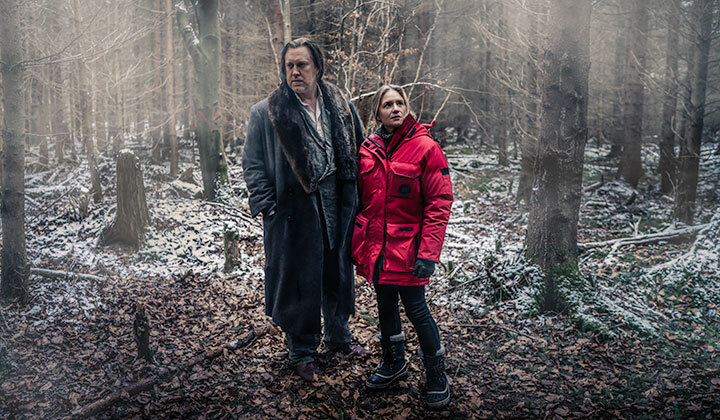 “Apart from the premise of two countries working together and finding a body on the border, everything else is pretty much a completely new story,” he says of Sky Germany’s new eight-part series, which is distributed globally by Beta Film. In keeping with the original format, the story centres on the discovery of a murder victim on a snowy mountain pass between Austria and Germany. But the most striking difference from the original is the role of the serial killer in Der Pass. Broen was a ‘whodunnit,’ with the detectives from either side of the Swedish/Danish border spending season one trying to find out who is culpable for the atrocious and often spectacular deaths. But in Der Pass, we find out the killer’s identity early on, and thus he plays a far larger role in the series as a whole. “We’re so interested in this evil that we wanted to follow it – how do they work and what drives them?” says Stennert. The creative team spent a lot of time researching serial killers (slightly disturbingly, hundreds of interviews with the most notorious of them, such as Charles Manson, are available online) and they worked closely with Germany’s top criminal profiler to develop the character. Franz Hartwig, the actor who plays Gregor Ansbach, Der Pass’s serial-killing IT expert, was profoundly affected by playing the character. Indeed, on the set of the series, DQ is confronted by the aftermath of one of Ansbach’s most devastating crimes. With sirens wailing and hundreds of extras playing members of the public, the police and ambulances services are all covered in a horrible grey dust as they flee an explosion in a fictionalised mall on the outskirts of Salzburg, Austria. Out of this apocalyptic scene, on a brief but apparently much needed espresso break, emerges Nicholas Ofczarek, who plays Austrian police officer Gedeon Winter. However, the case sparks something in Gedeon that gives him a desire to atone for his former failings, as does his relationship with his German counterpart, Ellie Stocker, played by Julia Jentsch. “She gives my character a perspective in his life and in his job, a faith in humanity,” says Ofczarek. But unlike the heroine of Broen – Saga Noren, who is socially awkward to the point of showing traits of Asperger syndrome – Ellie is “very in touch with herself and the humans around her,” says Ofczarek. In Broen, the male detective Martin was the happy-go-lucky one. In Der Pass, everything is reversed. Ellie presented the biggest writing challenges. “It was very hard to write a character who is truly good but also interesting,” says Stennert. But over the course of the investigation, Ellie and Gedeon’s roles switch. 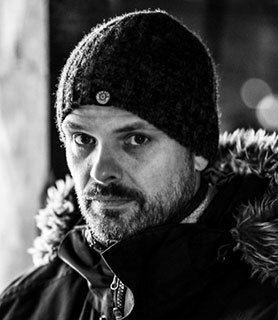 Producers Wiedemann and Berg have played no small part in raising the bar for the German industry, not only with Dark but also other highly respected recent productions such as TNT’s gangster drama 4 Blocks and neo-Nazi-focused miniseries Mitten in Deutschland: NSU (NSU: German History X). But interestingly the super-producing duo also make episodes of the show that most symbolises Germany’s traditional TV drama output: Tartot. 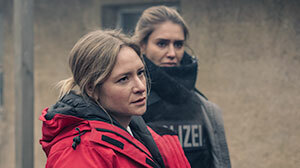 To many, the hour-long crime series, which has been running for decades, and which features a new, neatly wrapped-up storyline each week, sums up everything the German industry should be trying to get away from. It seems that one of the keys to the success of Wiedemann and Berg lies in their questioning of accepted norms. Likewise for viewers sceptical about another remake of The Bridge, it may well turn out that Der Pass is the series they most eagerly binge-watch in 2018.